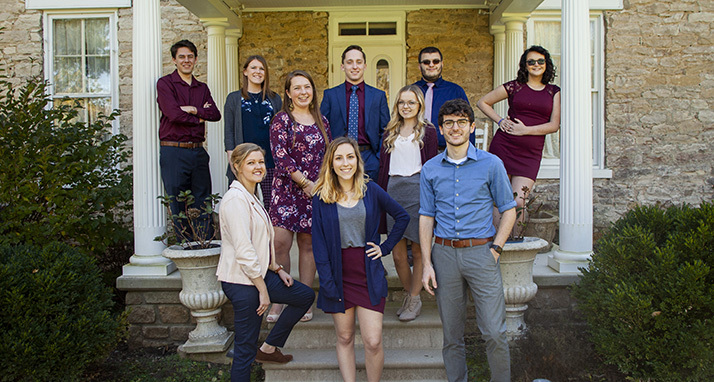 Hannibal-LaGrange University’s Chamber Choir is a team of men and women who present sacred a cappella music as a worship ministry. Along with music of various styles, the group also shares testimonies, scripture, and life experiences associated with their music. Chamber Choir performs as a mixed choir. Programs of up to 45 minutes are prepared and can be flexible to fit your service. Chamber Choir travels to churches and events on a love offering basis. For more information, or to book HLGU’s Chamber Choir, please contact Director Ben Kendall at 573-629-3008 or ben.kendall@hlg.edu.